Alek Komarnitsky is a parent on a mission. His two boys have Celiac Disease and for the past 7 years he has been doing something spectacular to help raise awareness for the condition. 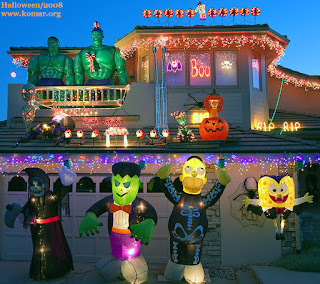 He decorates his house to the extreme for Halloween. It really deserves to be on an HGTV Halloween special. It gets better too....We can control the lights! 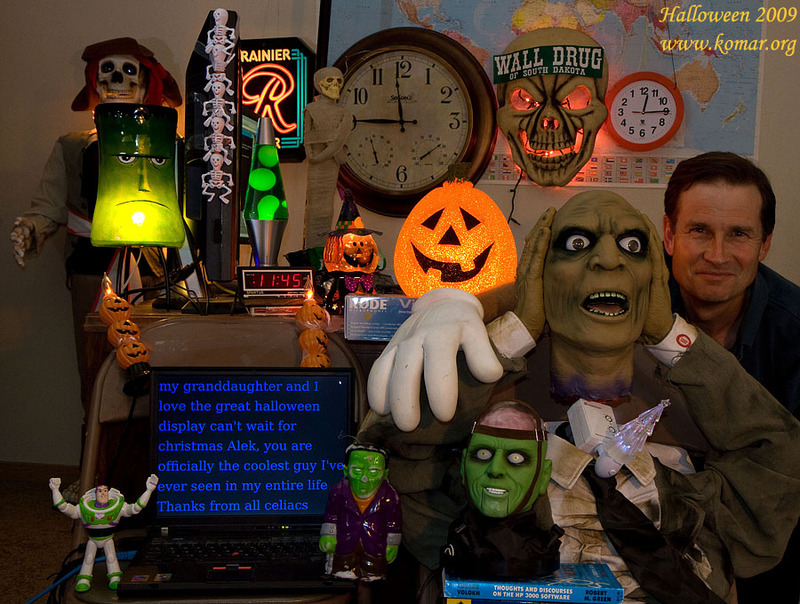 Alek's website offers us the opportunity to view the decorations on 3 live webcams. You can even inflate/deflate Homer Simpson, the Incredible Hulk as well as other awesome characters. 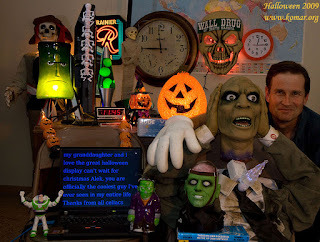 Alek's Controllable Halloween Decorations for Celiac Disease is probably the most innovative and interactive way to raise money for Celiac Disease yet. If you enjoy the decorations (and hard work) please consider donating to the over $60,000 raised for the University of Maryland Center for Celiac Research. Don't forget to send an instant message over the webcam. You can also watch the fun and excitement on Halloween night.